Â Realistic Zombie Survival Warfare is a thrilling shooter game developed by Mentolatux. In this game you control a soldier and you will play in the first person perspective. Your task is to kill all enemies in the map and find hidden objects. You can play in Multiplayer Mode or Single Player Mode. Â In Multiplayer Mode, you have 3 servers to select: Europe, America and Asia. You can create a room or join other players’ rooms to play. In Single Player Mode, you will play offline. 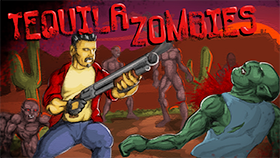 You have 2 missions: fight against zombies or fight against soldiers. In addition, Realistic Zombie Survival Warfare gives you four modes: find object, kill number, time to survive and survival. Â You have many different maps to fight in such as Soocer, Tunnel, Desert ... You have a health bar. Each time you are attacked, your HP decreases. When your HP drops to 0, you will die and the game will end. However, each time you destroy an enemy, you will receive money. In the map there is an Armor Shop and a Weapon Shop. You should use the money to buy powerful equipment as soon as you can. Â Realistic Zombie Survival Warfare offers you many different weapons, such as sub-machine guns, shotguns, pistols, grenades ... With exciting gameplay, impressive 3D graphics and great sound, I'm sure Realistic Zombie Survival Warfare will bring you a special feeling. This game also has a mobile version for Android devices. You can download them on the Google Play Store. 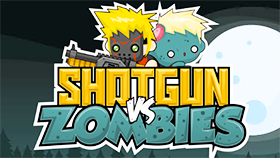 Be prepared because the zombies in this game are very horrific and dangerous. Good luck and have fun! - Use WASD or arrow keys to move. - Use mouse to aim and shoot. - Use R to reload. - Use C to crouch. - Use E to interact. - Use 12 to switch weapons. Â When your gun runs out of ammunition, you have to spend time reloading and you should stay away from the zombies during this time. Â Use grenades when you are overcrowded with enemies. Â If you want to play Unblocked Realistic Zombie Survival Warfare, then welcome to FreeGames66.com, the site for thousands of unblocked games. Here, the hottest games are constantly updated by a professional team and you can play your games smoothly. And of course, it’s all free. Â Now, let’s enter Unblocked Realistic Zombie Survival Warfare, destroy the zombies, find the hidden objects and survive for as long as you can. Play now!